This place is just amazing! Felt really comfy, everyone was so caring and friendly and you're really off-grid! Definitely should have booked more nights, at least 3-4. Thanks for the experience, i'll come back for shure! Everything was just perfect! 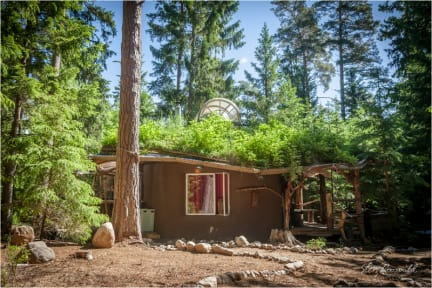 Hot baths in the woods, lovely breakfast and dinner, free yoga classes every morning and the super friendly staff made it an unforgettable experience. I definitely have to come back! It is a lovely places to stay! The kitchen is simple, but there's everything you need. There was a meal offered every evening for 5 euros. The showers and the toilets are funny and totally fine if you are not too scared that somebody could see you. The atmosphere is great! 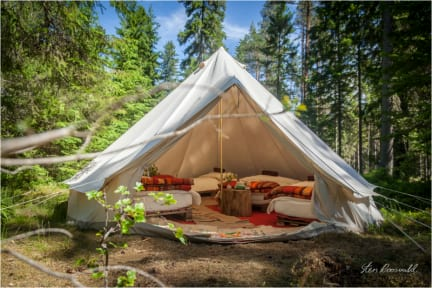 We had a campfire every evening, there was a tent with a music box, you could go to the sauna, you could take the bikes and go for a hike.. there's plenty to do! I can totally recommend to come there! Best location ever! I will definately come back. Very kind and attentive owner, we met interesting guests and had such a good time with them in the sauna and drinking local craft beer. Around Loksa there is so much to see and discover, even without a car (you can take one of the free bikes). The only thing I have missed are lockers.